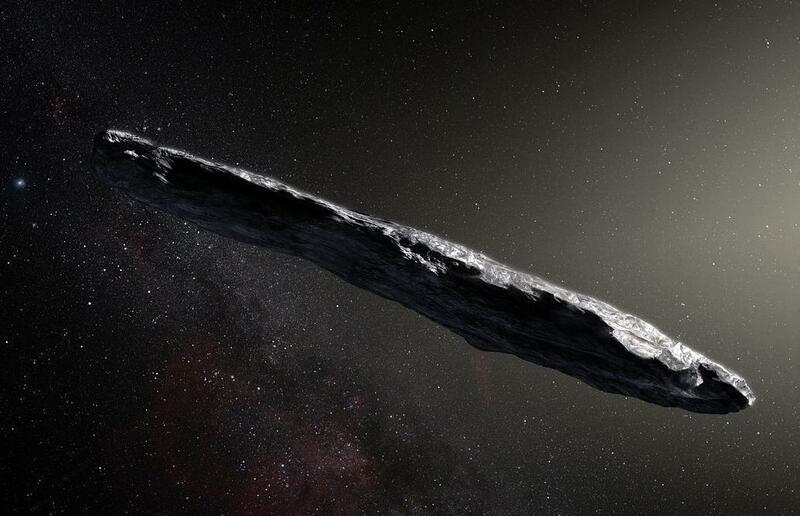 A huge object that flew past Earth might be an alien spacecraft, scientists have said. Scientists had originally thought that the cigar-shaped object was a very strange passing asteroid. But a number of things have led scientists engaged in the search for alien life to wonder whether it might actually be an "artifact" from an alien civilization. Researchers involved in the Seti – Search for Extra-Terrestrial Intelligence – project are now preparing to point a powerful telescope at the bizarre object and find where it came from. The mysterious object, which has been named Oumuamua, is our first visitor from another part of the galaxy to make it into our solar system. It flew past in October when it was spotted by astronomers from the University of Hawaii. Scientists initially presumed that it was an asteroid. But a number of strange characteristics have led them to wonder whether it might have been intentionally formed. It is long and cigar-shaped, for instance. While it is hundreds of metres long, it's only one tenth as wide – and it is very unusual for asteroids to come in such non-round forms. Some researchers have suggested this long needle shape would be useful for a long-distance spacecraft, since it would minimize the chance of being hit by interstellar gas and dust as it travelled through the universe. The body is travelling quickly through the universe, at up to 196,000mph, and looks as if it will not get wrapped up in our sun's gravity but fly right through and out of the solar system. The Breakthrough Listen team is using the Green Bank radio telescope in West Virginia, US, to study Oumuamua, which is named after the Hawaian term for "scout" or "messenger". From 8pm UK time on December 12, the giant dish - the largest fully steerable radio telescope in the world - will "listen" to the object across four radio frequency bands spanning one to 12 gigahertz. The object is currently about two astronomical units (AU) from Earth, or twice the distance between the Earth and sun. At this distance it would take less than a minute for the Green Bank telescope to detect an omnidirectional transmitter with the power of a mobile phone. Even if no evidence of extraterrestrial technology is found, the search could provide important information about gases surrounding Oumuamua or the presence or absence of water, say the researchers. Breakthrough Listen aims to survey a million nearby stars and 100 nearby galaxies looking for alien signals. Since the 1960s there have been more than 98 Seti projects around the world, none of which have turned up any convincing evidence of extraterrestrial civilizations.